BlackBerry has launched BlackBerry Evolve and EvolveX smartphones in India. Both phones come with 18:9 aspect ratio display and Dual Rear Camera. BlackBerry Evolve features a 5.99-inch (2160×1080 pixels) Full HD+ 2.5D curved glass display with Corning Gorilla Glass 5 protection powered by 1.8GHz Octa-Core Snapdragon 450 14nm Mobile Platform with Adreno 506 GPU. It comes with 4GB RAM and 64GB of internal storage expandable memory up to 2TB with microSD. On Camera it has a 13MP + 13MP dual rear cameras with dual-tone LED flash, Samsung S5K3L8 sensor and 16MP front-facing camera with f/2.0 aperture. Packed with a 4000mAh battery with fast charging, Qualcomm Quick Charge 3.0. 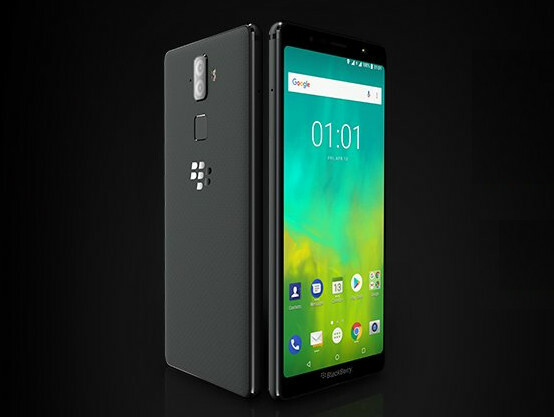 BlackBerry Evolve and EvolveX are priced at Rs. 24990 and Rs. 34990, respectively and will go on sale exclusively on Amazon.in with EvolveX available from the end of August and BlackBerry Evolve available from mid-September 2018. It comes bundled with Reliance Jio cashback offer of Rs. 3,950 and 5% instant cash back on ICICI bank credit cards on EMI transactions.